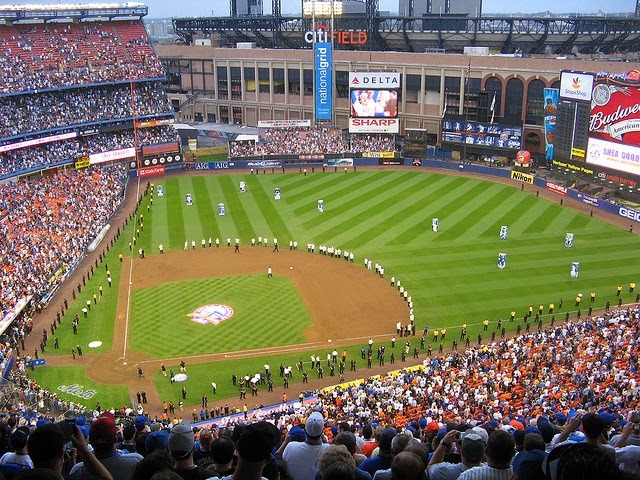 Sunday September 28th, 2008: I had to put aside the 2008 Mets after they lost this final contest, the last game evr to be played at Shea Stadium. I did not want them to ruin the closing ceremonies for me. 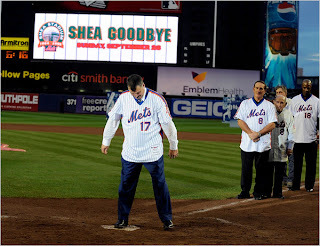 For me this ceremony was one of my greatest moments at Shea Stadium. 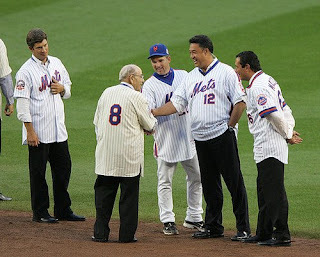 Many all time great Mets of the past assembled on the field for the last time. 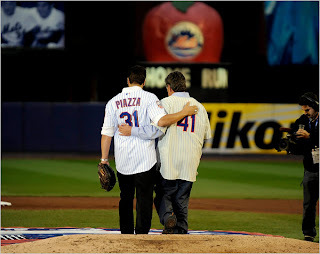 It was extremely emotional when Mets Hall of Famer; Tom Seaver threw out the final pitch to Mike Piazza. 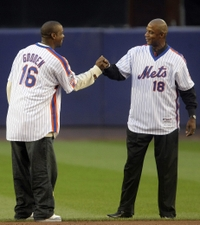 Then the two Mets legends walked off into center field & closed the gates to the Beatles song "In My Life". 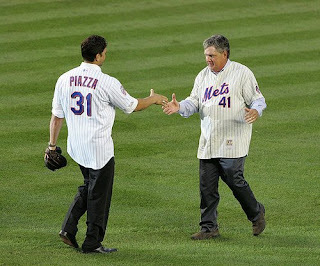 Many players from the 1969 World Champion Amazing Mets, to the 1973 NL Pennant winners. The 1986 World Champion teams & players from the 2000 NL Pennant winners as well were all present. There were earlier Mets players on hand as well from the teams first few years & players from other points in team history. Its was finally time we all put aside the hard feelings we had for George Foster & Dave Kingman, and to remember the good times they had on some bad teams. 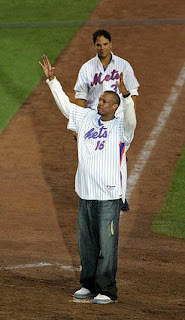 Dwight Gooden made a very emotional return to Shea Stadium on this day as well. 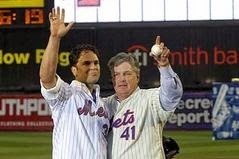 For me it was the 1969/1973 Mets that made the day. Besides my favorite of all time Tom Seaver, there were legendary Hall of Famers Willie Mays & former Met Manager Yogi Berra. 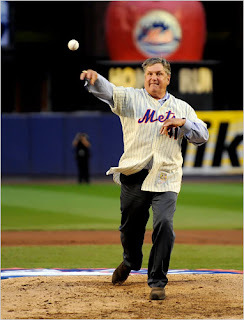 Members of both 1969 & 1973 featured; A Met who's number should be considered for retirement Jerry Koosman, as well as the great shortstop Bud Harrelson.The longest career player in Mets history; Ed Kranepool was there. The man who hit .340 in the 1969 Amazing season, Cleon Jones, knelt down on one knee, just like he did in 1969 making the final catch of the World Series, when he was announced. Pitcher Jim McAndrew, a member of the 1969 & 1973 staff was also there. One of the most under rated players of all time, but a very popular Mets figure and a key player in the 1973 Pennant winning team-Rusty Staub got a huge hand from the crowd. 1969 Third baseman; The Glider- Ed Charles, as well as the third baseman from both 1969& 1973 teams Wayne Garrett were on both there. 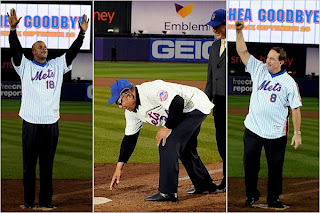 The 69 right field platoon of Ron Swoboda & Art Shamsky made their appearances. The leading hitter from the 1973 team; second baseman Felix Millan was there & folk hero "the Stork" George Theodore also on hand. 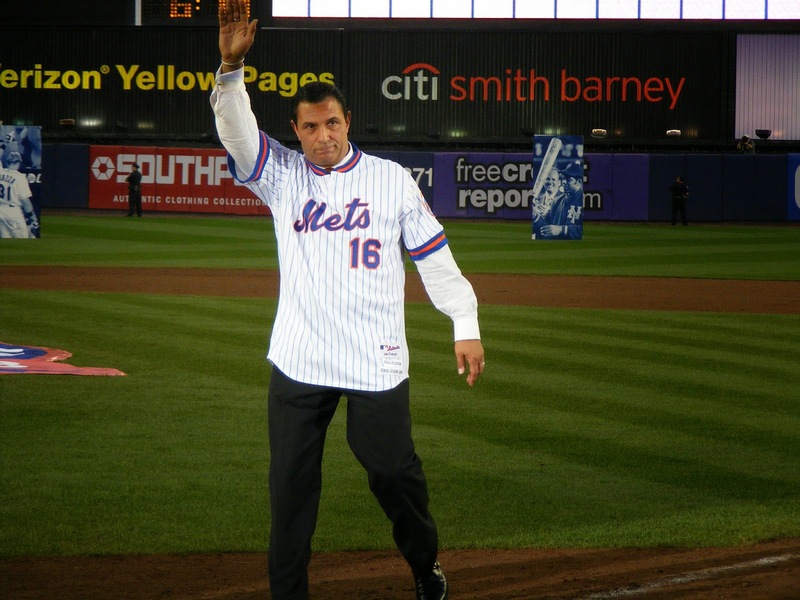 Then the 1986 World Champs had plenty of representation, Keith Hernandez, Gary Carter, Darryl Strawberry, Doctor K; Dwight Gooden, Ron Darling, Howard Johnson, Bobby Ojeda, Jesse Orosco, Lenny Nails Dykstra, Lee Mazzilli, El Sid Fernandez, Tim Tueful & Wally Backman. 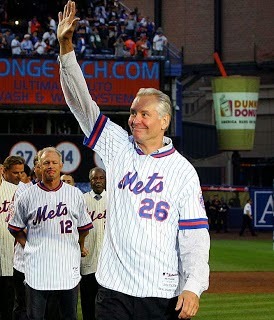 It was also great to see other Mets from various points in team history: slugger Dave Kingman made his return to Shea after so many years. The first Met All Star; Ron Hunt, later All Star; John Stearns were both on hand. Late seventies Mets Doug Flynn, & Craig Swan. early sixties Mets Jack Fisher, Frank Thomas & Al Jackson. 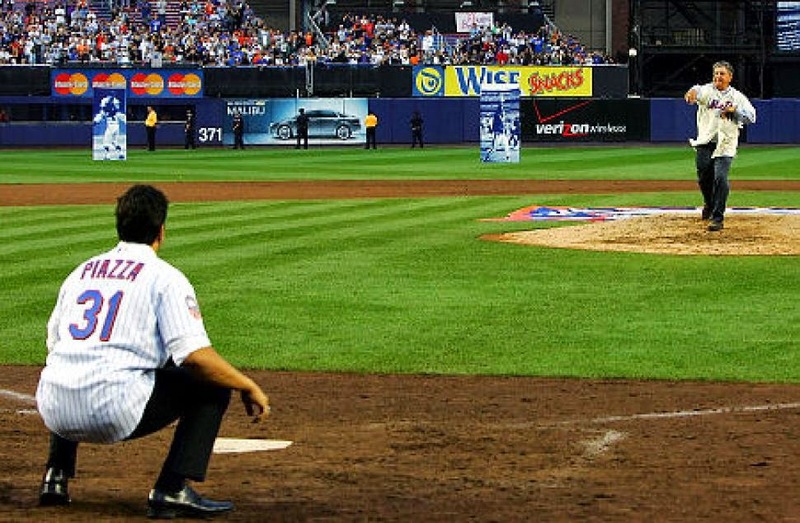 Eight years after since the last Mets Pennant winner, the 2000 club featured; Edgardo Alfonzo, Robin Ventura, Todd Ziele, John Franco, Al Leiter, and one of the all time Mets greats; Mike Piazza. There were touching tributes to announcer Ralph Kiner, long time groundskeeper Pete Flynn who drove the Beatles to the stage in 1964 & Paul McCartney to the stage for Billy Joel's Last Play at Shea in 2008. Other tributes went to Bill Shea's family, Bob Murphy's wife; Joy Murphy, Tommie Agee's wife & daughter, Tug McGraws children & Gil Hodges' wife & son. 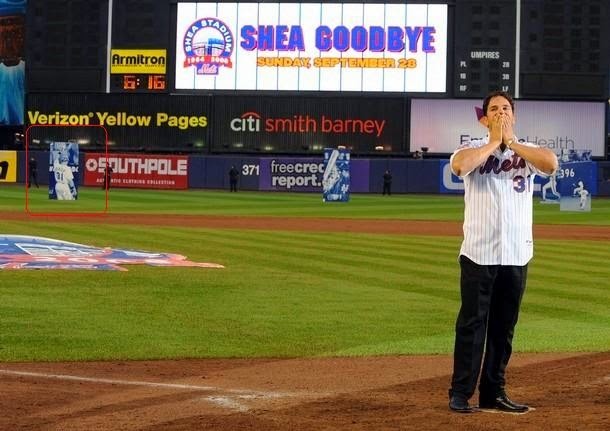 It was a great way to close out Shea Stadiums history.